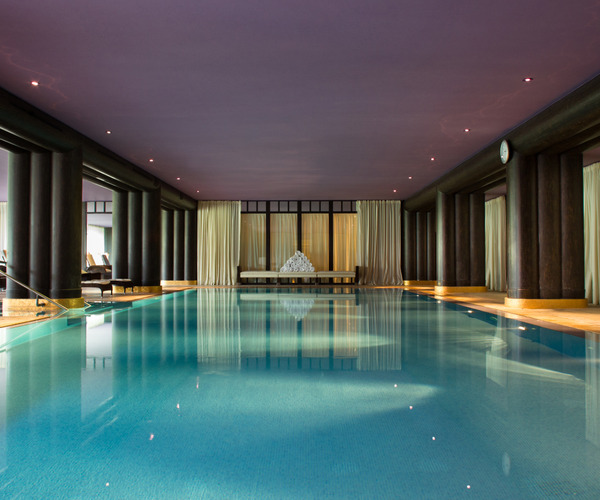 La Réserve Genève Hotel and Spa resides on the edge of Lake Geneva, surrounded by 10 acres of lush, manicured grounds, less than five kilometres from the heart of the city and the airport. In harmony with the splendour of its natural landscape, the hotel embraces the concept of simple luxury. Stylish restaurants offer a variety of international cuisine. The hotel's terraces allow for alfresco dining in the warmer months, and a lounge area features live DJs nightly. For the little ones, there is La Petite Réserve, complete with an open-air playground and treehouses. The comprehensive Nescens Spa offers a unique range of services in an elegant, lush green setting which have been developed and approved by the Nescens brand scientific committee. Services are provided by a multi-disciplinary team of therapists, coaches and medical specialists with expertise in the realms of preventive and antiaging medicine, as well as aesthetic medicine. After a personalized treatment at the spa, hotel guests can go swimming or take the boat ride to Geneva aboard the hotel's Motoscafo to explore all the city has to offer. Building on its medical and scientific expertise, Nescens, created by Professor Jacques Proust, a pioneer in the realm of biology of cellular aging and anti-aging medicine, crystallizes its know-how and experience by inaugurating its very first health Spa at La Réserve Genève. It’s a proven fact that our life expectancy is constantly increasing and we all want to maintain our appearance as long as possible, along with our general fitness and our youthfulness. Keenly aware of these profound societal developments, the Nescens Spa offers the very best, whether you wish to free yourself from stress in order to regain a deep-seated sense of well-being, recapture your dynamism, improve your body shape or slow down the effects of time, the ultimate aim being to live better, for as long as possible. Supplementing its extensive array of spa treatments, La Reserve houses a 200-square-meter fitness center equipped with a variety of workout apparatus, including Kinesis and Technogym equipment. Guests can also take classes in yoga, Pilates, stretching, and aqua gym or play tennis on the hotel's courts. A private motoscafo, or small motorboat, transfers guests to and from Geneva's city center. Guests can visit the city's numerous museums and art galleries, explore attractions such as the Palace of Nations, Saint Peter's Cathedral, and the Reformation Wall, or stroll along the lakeside quays, taking in lush gardens, classic residences, and the city's legendary flower clock. La Reserva features 73 bedrooms and 29 suites across its verdant grounds. 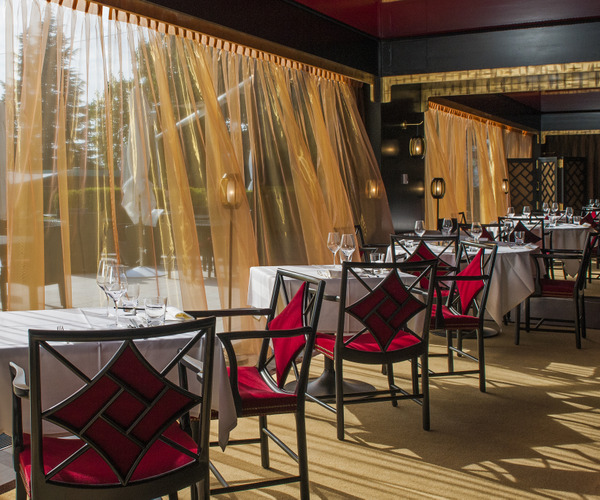 The Le Tsé Fung restaurant provides guests the chance to enjoy traditional Chinese specialties such as Dim Sum and Peking duck, within a setting of red velvet, black lacquer and silk hangings. Le Loti's vibrant, colourful design, complemented by bamboo and leather accents, green and violet taffeta material, and a copper and iron fireplace, complements the restaurant's classic, seasonal French dishes. Both restaurants share terraces overlooking the lake. Clients can also enjoy the delights of Café Lauren, a luminous, cosy setting designed by Jacques Garcia, where they can savour tasty, well-balanced cuisine, overseen by nutritionists and the Michelin-starred Chef of La Réserve Ramatuelle, Eric Canino. For guests who prefer a lighter bite, The Bar lounge, offers a menu to be enjoyed from the depths of armchairs, relaxing in the company of parrots perched on lamp-shades, to the sound of the playlist offered by our live DJ every evening. The Summer Lodge, located in the heart of the park, provides guests with sensational summer delicacies, while the Winter Lodge provides guests with hot dishes that celebrate winter classics.